Do you have any special occasion coming up in Duarte with your family or friends? 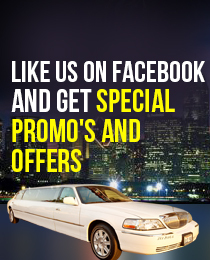 Duarte limousine service by ULC opens up a new horizon for celebration in the city! Be it any occasion – wedding ceremony, concert, night out, holidays, anniversary, bachelor/bachelorette party, school event, airport transportation etc – we have an impeccable fleet of luxurious limousine rentals in Duarte designed and specially maintained to suit your occasion. ULC’s Duarte limo service boasts of having a well-trained crew of chauffeurs, who are capable of providing an ambience that is inviting and comfortable for the passengers. The chauffeurs are clad in black suits and are multilingual. Duarte limo rentals prioritize long-term relationship with customers and hence, never compromise on quality. Our limousine rentals are always punctual and in perfect condition. We offer highly competitive prices and treat our customers with utmost respect. ULC’s Duarte limos are all insured and ensure a smooth and safe ride. Duarte limousine service by ULC also offers limos on rental basis. Imagine taking your friends (up to 17 people) for a regal ride around the hot spots of Duarte. Or offer a three-day long luxurious trip to your beloved family members (up to 7 people) in our exclusive limousine van! Which Duarte Limo is Right For You?